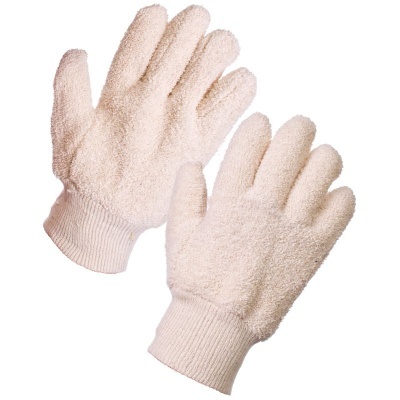 The Supertouch 28204 32oz Terry Cotton Gloves are versatile, soft and comfortable gloves that provide great general purpose barrier protection. Their high tear and contact heat resistance make them a popular choice for tasks ranging from utensils to light metal handling. The Supertouch 28204 Terry Cotton Gloves are available in a universal design that should fit most adults.